In the four centuries before World War I, the Middle East was a singularly unchanging place. Since that time, it has been perhaps the most hyperactive of regions. Why this dramatic change? When scholars debate the reasons for twentieth-century volatility, they usually point to outside powers. Efraim Karsh turns this equation on its head; then three leading analysts reply to his argument. Since its formation in the wake of World War I, the contemporary Middle Eastern system based on territorial states has been under sustained assault. In past years, the foremost challenge to this system came from the doctrine of pan-Arabism (or qawmiya ), which sought to "eliminate the traces of Western imperialism" and unify the "Arab nation," and the associated ideology of Greater Syria (or Suriya al-Kubra), which stresses the territorial and historical indivisibility of most of the Fertile Crescent. Today, the leading challenge comes from Islamist notions of a single Muslim community (the umma ). Intellectuals and politicians, denouncing the current system as an artificial creation of Western imperialism at variance with yearnings for regional unity, have repeatedly urged its destruction. National leaders—from Gamal Abdel Nasser to Ayatollah Ruhollah Khomeini to Saddam Husayn—have justified their interference in the affairs of other states by claiming to pursue that unity. Yet the system of territorial states has proven extremely resilient. That resilience raises questions. From what does it result? Does it suggest that the system of territorial states is more in line with Middle Eastern realities than the vision of a unified regional order? We review the role of pan-Arabism, pan-Syrianism, and pan-Islam, then consider how the rejection of the territorial state system has affected that most intractable conflict, the disposition of the Palestinians. Pan-Arabism gives short shrift to the notion of the territorial state, declaring it to be a temporary aberration destined to wither away before long. This doctrine also postulates the existence of "a single nation bound by the common ties of language, religion and history.... behind the facade of a multiplicity of sovereign states. "1 The territorial expanse of this supposed nation has varied among the exponents of the ideology, ranging from merely the Fertile Crescent to the entire territory "from the Atlantic Ocean to the Persian Gulf." But the unity of the Arabic-speaking populations inhabiting these vast territories is never questioned. This doctrine was first articulated by a number of pre-World War I intellectuals, most notably the Syrian political exiles ‘Abd ar-Rahman al-Kawakibi (1854–1902) and Najib Azuri (1873–1916), as well as by some of the secret Arab societies operating in the Ottoman Empire before its collapse. Yet it is highly doubtful whether these early beginnings would have ever amounted to anything more than intellectual musings had it not been for the huge ambitions of the sharif of Mecca, Husayn ibn ‘Ali of the Hashemite family, and his two prominent sons, ‘Abdullah and Faysal. Together, they perpetrated the "Great Arab Revolt" against the Ottoman Empire. When Husayn proposed to the British that he rise against his Ottoman master, he styled himself champion of "the whole of the Arab nation without any exception." Befitting that role, he demanded the creation of a vast empire on the ruins of the Ottoman Empire, stretching from Asia Minor to the Indian Ocean and from Iraq to the Mediterranean.2 When this grandiose vision failed to materialize in its full scope, the Hashemites quickly complained of being "robbed" of the fruits of victory promised to them during the war. (They were, as it happens, generously rewarded in the form of vast territories several times the size of the British Isles.) Thus arose the standard grievance that Arab intellectuals and politicians leveled at the Western powers, Britain in particular, and thus emerged the "pan-" doctrine of Arab nationalism with the avowed aim of redressing this alleged grievance. Likewise the imperial ambitions of Faysal and ‘Abdullah placed the Greater Syria ideal on the Arab political agenda. Already during the revolt against the Ottoman Empire, Faysal began toying with the idea of winning his own Syrian empire independently of his father's prospective empire. He tried to gain great-power endorsement for this ambition by telling the Paris Peace Conference that "Syria claimed her unity and her independence" and that it was "sufficiently advanced politically to manage her own internal affairs" if given adequate foreign and technical assistance.3 When the conference planned to send a special commission of inquiry to the Middle East, Faysal quickly assembled (a highly unrepresentative) General Syrian Congress that would "make clear the wishes of the Syrian people. "4 And by way of leaving nothing to chance, Faysal manipulated Syrian public opinion through extensive propaganda, orchestrated demonstrations, and intimidation of opponents. When all these efforts came to naught, and his position in Syria was increasingly threatened by the French, Faysal allowed the General Syrian Congress to proclaim him the constitutional monarch of Syria "within its natural boundaries, including Palestine" and in political and economic union with Iraq. On March 8, 1920, he was crowned as King Faysal I at the Damascus City Hall, and France and Britain were asked to vacate the western (that is, Lebanese) and the southern (that is, Palestinian) parts of Syria. The seed of the Greater Syria ideal had been sown. Neither did Faysal abandon the Greater Syrian dream after his expulsion from Damascus by the French in July 1920. Quite the reverse. Using his subsequent position as the first monarch of Iraq, Faysal toiled ceaselessly to bring about the unification of the Fertile Crescent under his rule. This policy was sustained, following his untimely death in September 1933, by successive Iraqi leaders. Nuri as-Sa‘id, Faysal's comrade-in-arms and a perpetual prime minister, did so, as did ‘Abdullah, Faysal's older brother, who articulated his own version of the Greater Syria ideal. While ‘Abdullah had some success, with the occupation and annexation of some 6,000 square kilometers of western Palestine to his kingdom in the late 1940s (an area to be subsequently known as the West Bank), his coveted Syrian empire remained unattainable. As Hashemite ambitions faded away, following ‘Abdullah's assassination in 1951 and the overthrow of the Iraqi monarchy seven years later, the championship of "pan-" movements migrated to other leaders. Cairo became the standard bearer of a wider pan-Arab ideal. Egypt's sense of pan-Arabism had already manifested itself in the 1930s but it peaked in the 1950s with the rise to power of Gamal Abdel Nasser. For a while, Abdel Nasser's hegemonic aspirations seemed to be within reach. His subversive campaign against the pro-Western states drove the Lebanese and Jordanian regimes to the verge of collapse and pushed Saudi Arabia and Iran onto the defensive. An Egyptian-Syrian union in 1958 seemed to bring the ideal of pan-Arab unity to fruition. By the early 1960s, however, Abdel Nasser's dreams were in tatters. The pro-Western regimes were weathering the Egyptian onslaught; Syria acrimoniously seceded from the bilateral union; and the Egyptian army bogged down in an unwinable civil war in Yemen. Abdel Nasser's inter-Arab standing took a steep plunge. Then came the 1967 Six Day War, dealing his ambitions—and the pan-Arab ideal as a whole —a mortal blow. While there would never be a shortage of contenders to Abdel Nasser's role as pan-Arabism's champion, notably Saddam Husayn, the dream of the "Arab nation" would not regain its earlier vibrancy or appeal. The Greater Syria scheme, pursued by Faysal and ‘Abdullah, was appropriated by successive Syrian rulers, most notably by Hafiz al-Asad. He saw Lebanon, Palestine, and Jordan as integral parts of Syria, all of them undeserving of independent self-determination. This explains Asad's denial of Israel's legitimacy and his relentless efforts to dominate the Palestinian national movement; more importantly, it accounts for Syria's de facto annexation of Lebanon that began in 1976 and culminated in 2000 with the Israeli withdrawal from southern Lebanon. Why, for all the sustained intellectual and political efforts behind it, did pan-Arabism make such little headway towards its goal of unifying the "Arab nation"? Because there is not and has never existed an "Arab nation." Rather, its invocation has been a clever ploy to harness popular support to the quest for regional mastery by successive Middle Eastern dynasties, rulers, and regimes. Neither had the Arabic-speaking provinces of the Ottoman Empire experienced the processes of secularization and modernization that preceded the development of nationalism in western Europe in the late 1700s. When the Ottoman Empire collapsed, its Arab populations still thought only in local or imperial terms. Their intricate webs of local loyalties (to one's clan, tribe, village, town, religious sect, or localized ethnic minority) were superseded only by submission to the Ottoman sultan-caliph in his capacity as the head of the Muslim community. They were wholly unfamiliar with the idea of national self-determination and so created no pressure for states. Into this vacuum moved ambitious political leaders, speaking the Western rhetoric "Arab nationalism," but actually aiming to create new empires for themselves. The problem with this state of affairs was that the extreme diversity and fragmentation of the Arabic-speaking world had made its disparate societies better disposed to local patriotism than to a unified regional order. But then, rather than allow this disposition to run its natural course and develop into modern-day state nationalism (or wataniya ), Arab rulers systematically convinced their peoples to think that the independent existence of their respective states was a temporary aberration that would be rectified before too long. The result was a dissonance that was to haunt the Middle East for most of the twentieth century, between the reality of state nationalism and the dream of an empire packaged as a unified "Arab nation." This dissonance (speaking the language of nationalism while pursuing imperial aggrandizement) was introduced into the political discourse by the Hashemites. Though styling themselves representatives of the "Arab nation," Sharif Husayn and his sons were no champions of national liberation but rather imperialist aspirants anxious to exploit a unique window of opportunity to substitute their own empire for that of the Ottomans. Husayn had demonstrated no nationalist sentiments prior to the war when he had generally been considered a loyal Ottoman apparatchik ; and neither he nor his sons changed in this respect during the revolt. They did not regard themselves as part of a wider Arab nation, bound together by a shared language, religion, history, or culture. Rather, they held themselves superior to those ignorant creatures whom they were "destined" to rule and educate. David Hogarth, director of the Cairo Arab Bureau, held several conversations with Husayn in January 1918 and reported his attitude as follows: "Arabs as a whole have not asked him to be their king; but seeing how ignorant and disunited they are, how can this be expected of them until he is called? "7 It was the "white man's burden," Hijaz-style. What the Hashemites demanded of the post-war peace conference, therefore, was not self-determination for the Arabic-speaking subjects of the defunct Ottoman Empire but the formation of a successor empire, extending well beyond the predominantly Arabic-speaking territories and comprising such diverse ethnic and national groups as Turks, Armenians, Kurds, Greeks, Assyrians, Chechens, Circassians, and Jews, among others, apart of course from the Arabs. As Husayn told T.E. Lawrence in the summer of 1917: "If advisable, we will pursue the Turks to Constantinople and Erzurum—so why talk about Beirut, Aleppo, and Hailo? "9 And ‘Abdullah put it in similar terms when asking Sir Mark Sykes (in April 1917) that Britain abide by the vast territorial promises made to Sharif Husayn: "it was... up to the British government to see that the Arab kingdom is such as will make it a substitute for the Ottoman Empire. "10 This imperial mindset was vividly illustrated by the frequent Hashemite allusion to past Arab and Islamic imperial glory, rather than to national rights, as justification of their territorial claims. More often, however, the invocation of past glory dates back to the earliest Arab and Islamic empires, or even to the distant pre-Islamic Arab past. Similarly, justifications for Greater Syria date back to the Umayyad Empire. Nuri as-Sa‘id defined the alleged yearning for unification among the Arab peoples as the "aspiration to restore the great tolerant civilization of the early Caliphate. "14 Likewise, in an attempt to prove the historic continuity of an "Arab nation," the Palestinian intellectual and political leader Yusuf Haykal traced Arab imperial greatness to the ancient Fertile Crescent peoples such as the Hittites, Canaanites, Amourites, et al., ignoring the minor problem that these diverse peoples never constituted a single people, let alone an Arab one.15 Abu Khaldun Sati‘ al-Husri, perhaps the foremost theoretician of pan-Arabism, lauded Abdel Nasser as "one of the greatest [leaders] in modern Arab history, rivaled perhaps only by Muhammad ‘Ali the Great of Egypt and Faysal I of the Arab Revolt. "16 Trouble is, Muhammad ‘Ali, the celebrated nineteenth century Egyptian governor, did not speak Arabic and did not identify as an Arab; and Faysal, as we have seen, was not an Arab nationalist seeking to liberate the "Arab nation" but an aspiring imperialist seeking to substitute his empire for that of the Ottomans. Another example: at a secret meeting in September 1947 between Zionist officials and ‘Abd ar-Rahman ‘Azzam, secretary-general of the Arab League, the latter warned the Jews of Arab efforts: "We succeeded in expelling the Crusaders, but lost Spain and Persia, and may lose Palestine. "17 In other words, he rejected a Jewish right to statehood not from concern for the national rights of the Palestinian Arabs but from the desire to fend off a perceived encroachment on the pan-Arab patrimony. Which brings us to the "Palestine question," an issue that has constituted an integral part of inter-Arab politics since the mid-1930s, with anti-Zionism forming the main common denominator of pan-Arab solidarity and its most effective rallying cry. But the actual policies of the Arab states show they have been less motivated by concern for pan-Arabism, let alone for the protection of the Palestinians, than by their own interests. Indeed, nothing has done more to expose the hollowness of pan-Arabism than this, its most celebrated cause. Consider, for instance, the pan-Arab invasion of the newly proclaimed State of Israel in mid-May 1948. This, on the face of it, was a shining demonstration of pan-Arab solidarity. But the invasion had less to do with concern for the Palestinian struggle to liberate a part of the Arab homeland than with ‘Abdullah's desire to incorporate substantial parts of Mandatory Palestine into his kingdom—and the determination of other Arab players, notably Egypt, to prevent that eventuality. Had the Jewish state lost the war, its territory would have been divided among the invading forces. Self-serving interventionism under the pretence of pan-Arab solidarity had the effect of transforming the bilateral Palestinian-Israeli dispute into a multilateral Arab-Israeli conflict, thereby prolonging its duration, increasing its intensity, and making its resolution far more complex and tortuous. By refusing to recognize Palestinian nationalism (or for that matter any other Arab state nationalism) and insisting on its incorporation into a wider Arab framework, Arab intellectuals, rulers, and regimes disrupted the natural national development of this community. They instilled unrealistic visions, hopes, and expectations in Palestinian political circles at key junctures. The consequence has been to deny Palestinians the right to determine their own fate. The late Hafiz al-Asad was perhaps the most persistent obstacle to the Palestinians' right of self-determination. Asad pledged allegiance to any solution amenable to the Palestine Liberation Organization (PLO) – so long as it did not deviate from the Syrian line advocating the destruction of the State of Israel. When the PLO, for example, recognized Israel in 1988, Syria immediately opposed the move, and when the PLO carried this recognition a step further by signing the September 1993 Declaration of Principles with Israel, it was strongly condemned by the Syrian regime, while the Damascus-based Palestinian terrorist, Ahmad Jibril, threatened Yasir Arafat with death. There is now a Palestinian nation, just as there are now Syrian, Iraqi, Egyptian, Jordanian, and other Arab nations. However strongly they may feel for each other, each of them pursues its distinct path of development within its own territorial state and in accordance with its national interests. That by the onset of the twenty-first century this reality had not been internalized by all regional leaderships, as evidenced by Asad's belief in his right to dictate to the Palestinians, is a stark reminder of the tenacity of the imperialist dream. This meant that Middle Eastern states—indeed, the entire contemporary international system—were totally illegitimate, for they perpetuated an unjust order imposed on "oppressed" Muslims by the "oppressive" great powers. Muslims were obliged to "overthrow the oppressive governments installed by the imperialists and bring into existence an Islamic government of justice that will be in the service of the people. "24 An Islamic world order would see the state transcended by the territorial broader entity of the umma. Eventually, the exorbitant human toll and economic dislocation of the Iran-Iraq war drove the Iranian leadership to bend its high principles and Khomeini was finally convinced to "drink from the poisoned chalice" and authorize the cessation of hostilities. On July 18, 1988, after eight years of bitter fighting, Iran accepted United Nations Security Council Resolution 598 on a cease-fire in the Iran-Iraq war, and shortly afterwards embarked on a vigorous campaign to break its international isolation. It mended its fences with the Gulf states, reestablished diplomatic ties with the major west European powers, and even alluded to a possible dialogue with the United States, the "Great Satan." Yet when a combination of international and regional developments offered new opportunities in the early 1990s, the mullahs' ambitions were quickly reasserted. An expansion of the country's military arsenal was accompanied by sustained efforts to project Iranian influence in the Persian Gulf, the Middle East, and in Central Asia and Transcaucasia. Despite these efforts, Iran's pan-Islamic doctrine has had no greater success than did pan-Arabism in denting the Middle Eastern territorial state system. Not only did most Sunnis reject it as a distinctly Shi‘i doctrine, but even Iraq's majority Shi‘i community found it unconvincing and gave more allegiance to the Iraqi territorial state instead. And Iran's only successful export of its revolution, namely Hizbullah in Lebanon, had more to do with the struggle against Israel than with dreams of establishing a unified community of believers. The Middle East's experience in the twentieth century has been marked by frustration, and much of it has resulted from a gap between delusions of grandeur and the grim realities of weakness and fragmentation. Just as the challenge to the continental order by the European "pan-" movements, notably pan-Germanism and pan-Slavism, led to mass suffering and dislocation, so the rejection of the contemporary Middle Eastern state system by pan-Arabs and pan-Islamists has triggered many wars among Arabs and Jews, Arabs and Arabs, Arabs and Kurds, Arabs and Iranians, and others. Over eighty years, Arab leaders have had many opportunities to undo the much-maligned international order established on the ruins of the Ottoman Empire, only to miss them all. The Iraqi and the Transjordanian branches of the Hashemite dynasty, for instance, could have promoted the unification of their respective kingdoms rather than undermine each other's regional position. So, today, could the avowedly pan-Arabist Ba‘thist regimes in Syria and Iraq. But just as Faysal and his Iraqi successors would not acquiesce in ‘Abdullah's supremacy, so Saddam Husayn would never accept Hafiz al-Asad as primus inter pares. Syria did not wish to foot the bill for Abdel Nasser's high pan-Arab ideals by becoming an Egyptian-dominated province in the United Arab Republic. Nor did Kuwaitis relish their designated role under Saddam Husayn's foot. Surprisingly enough, despite this legacy of failure, the "pan-" dreams live on. Palestinian academic Walid Khalidi demonstrates this when he writes that "The Arab states' system is first and foremost a ‘pan' system.... In pan-Arab ideology, this nation is actual, not potential. The manifest failure even to approximate unity does not negate the empirical reality of the Arab nation... The Arab nation both is, and should be, one. "27 This assertion could not be further from the truth. The Arab state system, as demonstrated by its extraordinary resistance to ideological assaults, is anything but "pan-"; rather it is a regional state system of the kind that underpins the contemporary international order around the globe. Only when the "pan-" factor is banished from the Middle East's political scene and replaced by general acceptance of the region's diversity will its inhabitants look forward to a better future. Any attempt to impose a national or religious unity on the region's individual states is not only bound to fail but it will perpetuate the violence and acrimony that have for too long plagued the Middle East. Only when the political elites reconcile themselves to the reality of state nationalism (wataniya ) and forswear the imperial dream of a unified "Arab nation" will regional stability be attained. 1 Walid Khalidi, "Thinking the Unthinkable: A Sovereign Palestinian State," Foreign Affairs, July 1978, pp. 695-96; Hisham Sharabi, Nationalism and Revolution in the Arab World (New York: Van Nostrand Reinhold Company, 1966), p. 3. 2 "Husayn to McMahon" (Cairo), July 1915-Mar. 1916, presented to British Parliament, Cmd. 5957, London, 1939, p. 3. 3 "Memorandum by the Emir Feisal, Jan. 1, 1919," FO 608/80. 4 Abu Khaldun Sati' al-Husri, Yawm Maisalun: Safha min Tarikh al-'Arab al-Hadith, rev. ed. (Beirut: Dar al-Ittihad, 1964), p. 261. 5 T.E. Lawrence to his Biographers Robert Graves and Liddell Hart (London: Cassell, 1963), p. 101. 6 Sharabi, Nationalism and Revolution, p. 7. 7 David Hogarth, "Mission to King Hussein," Arab Bulletin, Jan. 27, 1918, pp. 22-23. 8 T.E. Lawrence, "Faisal's Table Talk," report to Colonel Wilson, Jan. 8, 1917, FO 686/6, pp. 121, 123; Abd ar-Razaq al-Hasani, Ta'rikh al-Wizarat al-Iraqiyya, Part 3 (Sidon: Matba'at al-Ifran, 1939), pp. 189-195. 9 Lawrence, July 30, 1917, FO 686/8. 10 Mark Sykes, "Notes on Conversations with the Emirs Abdullah and Faisal," May 1, 1917, FO 882/16, p. 233. 11 Husayn to McMahon, p. 10. 12 Munib al-Madi and Sulayman Musa, Ta'rikh al-Urdunn fi'l-Qarn al-'Ashrin (Amman: Maktabat Ra's Bayrut, 1959), pp. 132-136. 13 Baghdad Domestic Service, Aug. 8, 1990; Iraqi News Agency, Aug. 28, 1990. 14 Nuri al-Said, Arab Independence and Unity: A Note on the Arab Cause with Particular Reference to Palestine, and Suggestions for a Permanent Settlement to which are attached Texts of all the Relevant Documents (Baghdad: Government Press, 1943), p. 8. 15 Yusuf Haykal, Filastin Qabla wa-Ba‘d (Beirut: Dar al-‘Ilm li‘l-Malayin, 1971), pp. 20-41. 16 Khaldun al-Husri, review of Anthony Nutting's Nasser, Journal of Palestinian Studies, Winter 1972, p. 135. 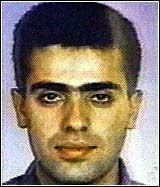 17 Aharon Cohen, Israel and the Arab World (London: W.H. Allen, 1970), p. 381. 18 Gamal Abdel Nasser, "Speech to National Assembly Members on May 29, 1967," ed. Walter Laqueur, The Arab-Israeli Reader (Harmondsworth: Penguin, 1970), p. 228. 19 Baghdad Domestic Service, Aug. 12, 1990. 20 Nuri Al-Said, Arab Independence and Unity, p. 11. 21 Hearing before the Anglo-American Committee of Inquiry, Washington D.C., State Department, Jan. 11, 1946, Central Zionist Archive (Jerusalem), V/9960/g, p. 6. 22 Damascus Domestic Service, Mar. 8, 1974. 23 Ayatollah Ruhollah Khomeini, Islam and Revolution, trans. and ed. Hamid Algar (Berkeley: Mizan, 1981), pp. 127, 140. 24 Khomeini, Islam and Revolution, pp. 31, 48-49; James P. Piscatori, Islam in a World of Nation-States (Cambridge: Cambridge University Press, 1986), p. 113. 25 Farhad Rajaee, Islamic Values and World View: Khomeini on Man, the State and International Politics (Lanham: University Press of America, 1983), pp. 82-83. 26 Summary of World Broadcasts, British Broadcasting Corporation (BBC), Apr. 4, 1983. 27 Khalidi, "Thinking the Unthinkable," pp. 695-96. Technorati Tag: Israel and Middle East and Efraim Karsh and Arab History.